Drew Remenda is a famous sportscaster currently working for Edmonton Oilers as a color commentator for regional telecasts. Besides a sportscaster, he also is a former Canadian hockey coach, radio broadcaster and tv hockey analyst. In addition, Drew did color commentary on CSN California, NHL games and also as a co-host of the Sports Night with Jamie Nye and Drew Remenda. Remenda is earning around $100,000, annually with a net worth of over $2 million. Drew is currently married to his longtime girlfriend Michele Remenda and has 3 children; a daughter, Jordan and twin sons Donovan and Davis. The Canadian sportscaster/anchor Drew Remenda has an estimated net worth of $2 million. As of 2019, the reporter receives an annual salary of $100,000 from his successful reporting career with the Edmonton Oilers. Since Remenda is a regular Edmonton Oilers anchor, he earns a decent amount of salary from the network. Edmonton is not only the source that has made Drew earn so much besides, but the maximum amount of his net worth is from his previous jobs since he has worked for several other popular networks. After a long romantic affair, Drew got married to his girlfriend Michele. The couple is blessed with a 3 children; a daughter named Jordan and twin sons Donovan and Davis. The detailed information regarding their marital relationship has not been disclosed yet. His son Donovan was named after Donovan Bailey while the other son Dave was named after Dave King. His 22-year old twin sons played hockey in their college. So far there are no rumors of divorce with his wife and are living a happy married life. The famous sportscaster has a charming personality and has bald hair and blue eyes with decent height. Currently, Drew is living with his wife and kids. Drew Remenda was born on 13 April 1962 in Saskatoon, Saskatchewan, Canada. He holds a Canadian nationality and belongs to the White ethnic group. The detailed information regarding the parents and also about his educational qualifications are not disclosed in media yet. Remenda's early career started as a coach of the University of Calgary and also as an assistant coach for the San Jose Sharks Expansion team. After that, he worked as a head coach of Kansas City Blades. Drew's broadcasting career started with Sharks as their broadcast analyst alongside Dan Rusanowsky and also worked with Randy Hahn. Moreover, Drew hosted the show called The Drew Remenda Sports Show on News Talk 650, CKOM. After ending career with Sharks, he served the CBC as their color commentator and working with Don Wittman broadcasting NHL. During his career in NHL broadcasting, he got chance to meet Gord Miller and other popular NHL announcer Gary Thorne. Drew didn't renew his contract with Sharks instead he was hired in place of Louie DeBrusk as their regional color commentators of Edmonton Oilers. 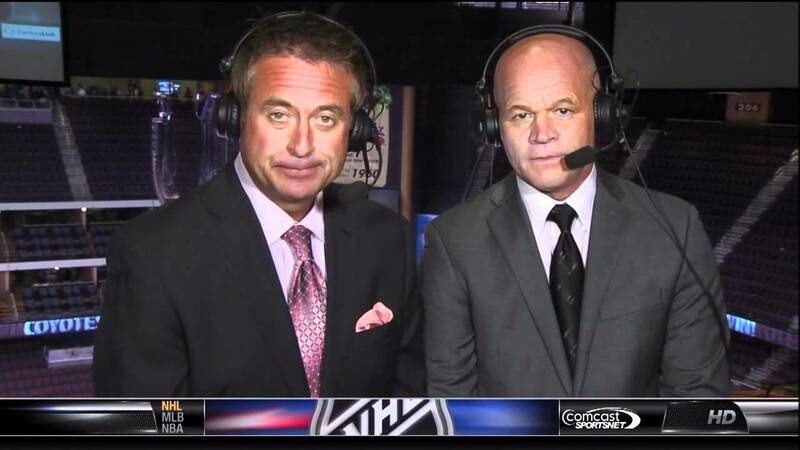 Remenda also worked at Hockey Night in Canada as their analyst. Besides, some of the popular announcers in the Hockey Nights are Bob Cole and he was later replaced by Jim Hughson in the StanleyCup Finals.